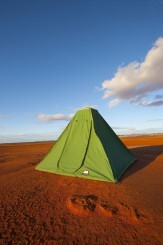 Australia is home to countless unforgettable outdoor experiences. Across almost three million square miles Australians and visitors alike can find stunning wildlife and otherworldly vistas. But Australia’s wilderness is unforgiving. For generations, traversing this terrain has been a difficult task, and the swag emerged as the go-to option for bushwalkers, shearers and miners. When it comes to canvas swags Australia is the best place to use them. This convenient bed is still used widely to this day and campers use it to sleep under the stars and make their camping experience all the more magical and visceral. We have been offering canvas swags for over 35 years and we are here to share what makes them so special. Australia has some of the best stargazing spots on our planet. Using a swag allows you to get out into the great outdoors and enjoy nature while still being comfortable and not sacrificing on rest. Also, when rolled up swags are convenient and lightweight. This makes them easy to throw into your vehicle before setting off on your trip. It’s also easy to re-pack it once you have slept and rested. This convenience is what makes the swag such a favourite. 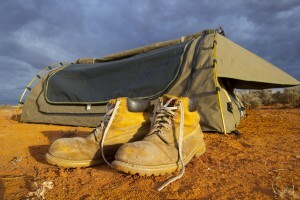 Every single one of our swags – across our entire range – is made using only the best Australian-made canvas. Put together by experts with decades of experience it means that the final product is a truly special object that can last for a lifetime. These swags aren’t cheap imitations that are mass produced. In fact, many of our customers tell us that the swags they purchased decades ago are still in perfect condition and are still used regularly – sometimes by their children that have grown and decide to adventure throughout Australia too! Our swags come in three configurations and can be customised to match your exact needs. Whether you’re looking for a single swags, double swags or king swags, you can be confident we the right canvas swag for sale. All of our sizes come in enclosed, flat and dome variations so that you can fit your swag to the trip you’re going to be going on. Southern Cross Canvas Products is a family business that has been offering truly spectacular products for over 35 years. In this time the business has passed from one generation to the next so all of the techniques, skills and lessons learned from one generation has been passed down to the next. We are proud to be a family business and build relationships with our customers that are authentic and built on a platform of mutual benefit. If you are looking to upgrade your swag or even find the perfect gift for a loved one or friend, you can rely on us to get you the best product possible. You can tell us about your exact needs and we will be happy to recommend an existing swag or discuss how we could create a custom offer for you. 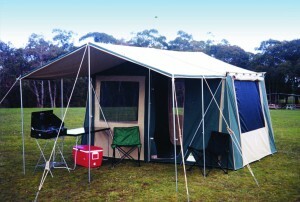 Southern Cross Canvas offers high quality Swags, Canvas Tents, UTE Camping Canopies, Cabin Tents, Camper Trailer Tents, Canvas Annex, Caravan Annex & many more Australian made canvas products at best prices. You can get in touch with us today by giving us a call or sending a message through our website. We’ll get straight back to you. To get in touch with us simply give us a call today or fill out our online form.